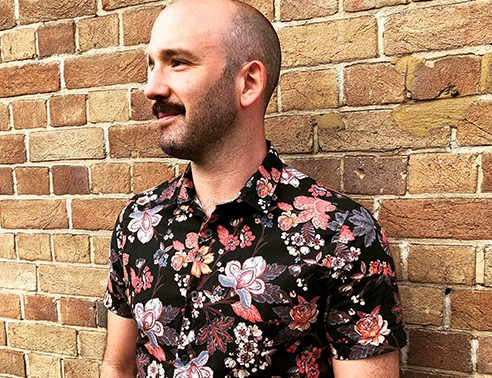 This week the Spotlight is on Dr Simon Lock, Associate Professor in Science Communication and Governance in the Department of Science and Technology Studies. I have just been promoted to Associate Professor in Science Communication and Governance in the Department of Science and Technology Studies. In that role I teach science communication, public engagement and sociology of science and technology across all levels at UCL. On top of that I supervise several wonderful PhD students and am involved in multiple research projects. The best thing about my research is getting to work collaboratively with lots of amazing people across the whole university. I've just finished a three-year ESRC project working with some fantastic colleagues at the Bartlett, and in Laws on renewable energy infrastructure. I am also currently working with colleagues in Grand Challenges, OVPR and the Public Engagement Unit on a project looking at how to involve local communities and stakeholders more in helping to shape the research that the university does. The short answer is a long time and in lots of different capacities! I graduated from my undergraduate degree (BSc Human Sciences) at UCL in 2000. Between 2000 and 2002 I worked in the Bloomsbury Theatre running the box office while I studied towards my MSc part-time at Birkbeck, I then came back to academic studies at UCL to do a PhD and by the end of that was on a full-time Teaching Fellow contract until 2012 when I got my lectureship and here I am in 2018. One of the proudest teaching achievements was being involved in the early days of the UCL Global Citizenship Programme. As part of this I developed academic modules for undergraduates, which aimed to engage them in discussions about their place, and role, in a globalized and connected world. Our students are in a privileged global position, so we developed an 'action research' module which asked the students to work in teams to identify a global issue on which they could work towards achieving some sort of social change by the end of the term. A tall order! Over several years of that module running we had student teams create book recycling schemes, campaign for better wildlife spaces on campus, run an energy saving campaign across the college and establish a scheme to ensure that no food was wasted from the UCLU shops by passing it on to a local homeless charity. It was very rewarding for both me and the students to not just see the issues we studied and discussed in class as academic but as real world problems that they could work together to do something about, even at a local level. From September I will be taking over as co-director of qUCL, our LGBTQ+ research network. I'm very excited to continue to expand the reach and relevance of the important LGBTQ+ focused research that is going on at UCL. One project that will be launching next year is a new podcast series which will aim to engage the public and academics with the UCL researchers and their work. I'll also be working with the UCL Public Policy team to think about ways to connect up our researchers to policy makers working on LGBT relevant issues so their research has wider impact. I'm not sure I can answer this definitively. I can tell you what have been the most important for me recently. Album-wise it would have to be the Hamilton cast recording. I've been to see the show three times already in London, it's unlike any musical that's come before, totally thrilling. Film-wise, Call Me By Your Name left an indelible mark on me. I watched it on a plane to a conference in Brazil and sobbed my heart out much to the puzzlement of my seatmates. For books, I'm actually reading a lot more non-fiction at the moment, so the books that have left a lasting impression on me are Why I'm No Longer Talking to White People About Race, which I think is a book everyone in the UK should read and The Gifts of Imperfection, by Brene Brown. I'm not much of a joke-teller I'm afraid, I leave that to my partner who does stand-up comedy. I do often end up featuring in a lot of his jokes. I'm still hoping that Brexit might be the world's largest and most elaborate practical joke, would that count? I think for me, at the moment, I'd choose all of those LGBTQ+ role models that have been influential throughout my life. I realise as I get older how important it has been, and continues to be, to have strong, prominent and out queer heroes who are brave enough to challenge and try to change the conversation around what it means to be queer in our society. So Sandi Toksvig, Ru Paul, Jill Soloway, Stephen Fry, Ellen de Generes, Tony Kushner, Alison Bechdel, Armistead Maupin would be on that list. The most important thing in life is to be your authentic self, no matter the cost, as that's the only path to happiness. Growing up gay in the 1980s was a tricky thing and I, along with a lot of LGBTQ people, struggled (and indeed still struggle) to feel accepted in school, in work, and in society at large. LGBTQ people are much more likely to suffer from mental health problems, addictions and commit suicide and that's not a coincidence. So much of this is caused by internalised self-hatred and not being able to accept who you are thanks to the implicit and explicit cultural, political and social messages we are all subjected to. I hope that the experience of LGBTQ+ youths is getting better today, but there's a lot more work to be done. My favourite place is somewhere on the coast or in water. I'm always happiest when I'm swimming or have a view of the ocean. It's incredibly soothing and calming for me.